LeCrease Sanders told BARRYSTAFF he had a lot riding on his decision to seek out consistent work. 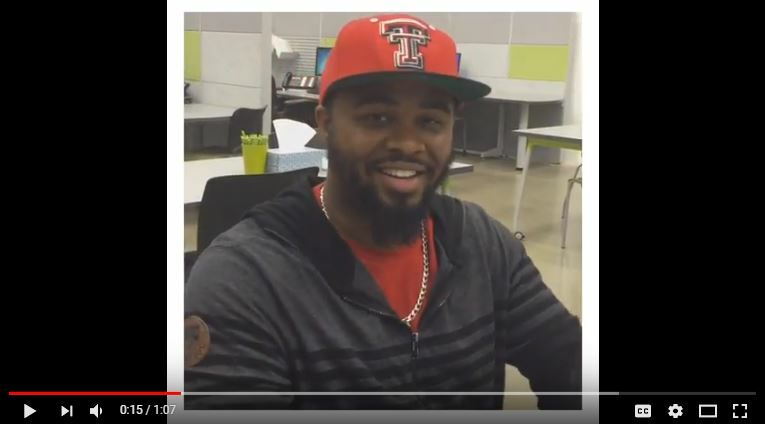 He has a fiance and a young family. “This is for them,” he said. Click on the video below to hear what else he had to say. Business owners often seek to control the perception of their companies so that they accurately reflect reality. This is easier said than done. Perceptions are like habits – they tend to die hard. The staffing business has long battled a sometimes lackluster perception. 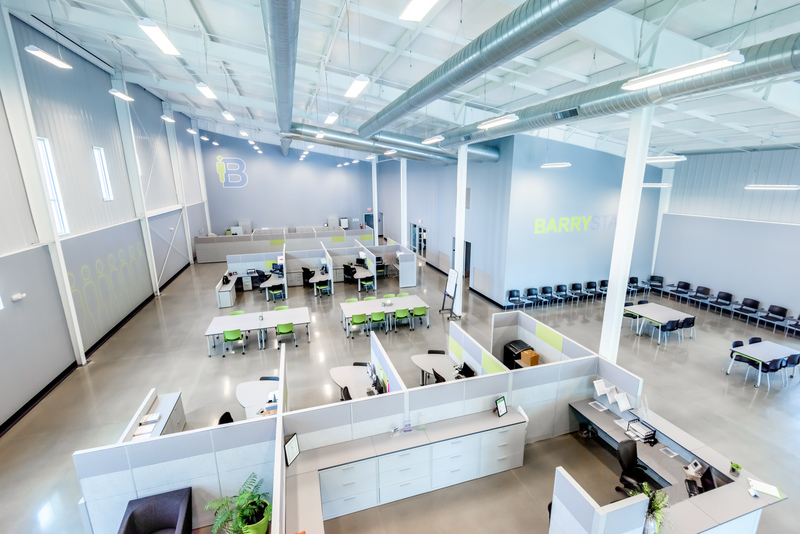 At BARRYSTAFF, here are the most common misconceptions we run into … and how we set the record straight. “Temporary” employees are nothing more than short-term fixes. In truth, the term “temp” is outdated. We no longer refer to ourselves as a “temp agency,” but rather as a “staffing company.” There’s a significant difference. Gone are the days when folks would show up to the local agency each morning and collect a paycheck for a single job later that afternoon. In reality, what we’re doing is probably much different than what people are prone to imagining. We give companies employees to try out on a limited basis. If an employee is working out then companies may extend a permanent job offer after 90 days. We handle everything until that job offer is extended. This process allows the company – and the employee – to feel each other out. One of the key analytics we study is our retention rate. In other words, we want our companies and employees to stick together. That’s our goal. We only staff for one industry. While it’s true that staffing companies have specializations (BARRYSTAFF’s is manufacturing), many agencies are capable of recruiting for many, many fields. 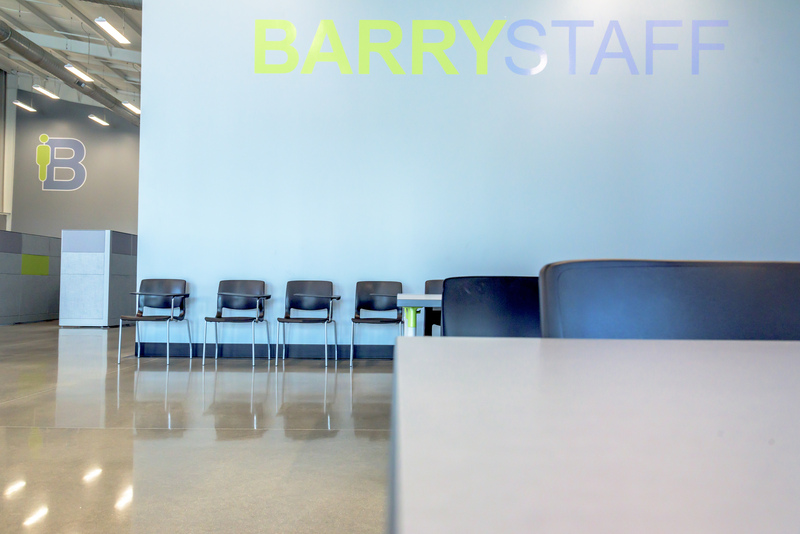 At BARRYSTAFF, we have placed architects, engineers and chemists. We have an entire team solely dedicated to filling clerical positions. So while manufacturing is our wheelhouse, we’ll never turn away someone looking for a communications position. Or graphic design. Or IT. We can help them too. Job seekers have to pay to use our service. Job seekers pay nothing. Zero. Zilch. That’s not how we make money. Instead, the companies we partner with pay us to help them find quality employees. No job seeker will ever need to pay a dime to a company like BARRYSTAFF. We only offer dead end jobs. The fact of the matter is that there is plenty of room for advancement in the jobs we hire for. Many of our placements have gone on to management positions. We only work with struggling companies (Why else would they need a staffing company?) This is one we have to push back against fairly often. We work with big companies and small companies. Some are international. Others are hyper local. They use us because it is time-consuming to search, interview and drug screen candidates. It’s expensive. It cuts down on production. Advertising alone can run up a hefty tab. And these days, the job search is changing drastically from year to year. We live in a fast-paced digital world now, and our clients need to stay focused on what they’re doing. More of them are trusting experts like BARRYSTAFF to handle this work. It’s a specialized service during a time of rapid change. And our services don’t stop at staffing. We often find ourselves working as a fully- functional HR branch for companies. It’s just another amenity we’re proud to offer. Rosemary Haefner, chief human resources officer at CareerBuilder, tells Business Insider that you need to embrace the idea of having difficult conversations to get what you need. “Instead of backing off in fear, you’ll learn to handle tough problems while treating people with dignity and respect,” she says. Oliver says that a lackluster performance review isn’t always a career-ender, as long you take the opportunity to fix what’s wrong. “You must show you can take the feedback and respond proactively to it,” Oliver says. Most Americans are leaving vacation time on the table — in fact, Americans didn’t take 658 million vacation days in 2015 and lost 222 million of them entirely because they couldn’t be rolled over, paid out, or banked for any other benefit. That adds up to about $61.4 billion in lost benefits. Studies suggest that not taking enough vacation time is bad for your health, happiness, relationships, productivity, and prospects for a promotion. Just because you’re not moving up doesn’t mean you’re making the wrong move. Vicki Salemi, a career expert for Monster, suggests making a lateral move when you’re immersed in a dead-end job, working for a toxic boss, or need a change of scenery. This advice can certainly backfire, especially when you’re taking on major debt to appear more successful or you’re ignoring the signs that it’s time to move on. But it’s not always so terrible for your career. 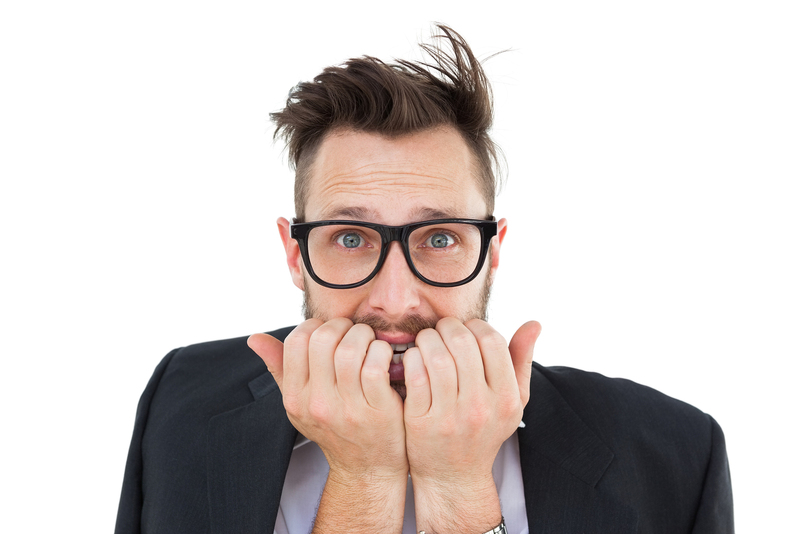 Indeed, Salemi says ‘faking it ’til you make it’ can help you overcome a common problem among working people — imposter syndrome. As Harvard Business School professor and “Presence” author Amy Cuddy tells Harvard Business Review, faking it ’til you make it is more “about pretending to yourself that you’re confident” and framing challenges as opportunities than pretending to have skills you don’t. “Don’t think, ‘Oh no, I feel anxious.’ Think, ‘This is exciting.’ That makes it easier to get in there and engage,” she says. “It hurts terribly when it happens, but sometimes you simply aren’t ready to handle the responsibility,” Oliver says. If you don’t get the promotion you wanted, Oliver suggests showing a brave face and dogged determination to shine so that you won’t be bypassed the next time around. There’s no crying in business, at least not according to Shark Tank investor Barbara Corcoran. “The minute a woman cries, you’re giving away your power. You have to cry privately,” she once told an entrepreneur on the show. In some ways, waiting to quit your job until you have another one lined up makes sense. Cutting off your income supply can be hard on your finances. You might also think getting a job would be infinitely more challenging when you’re unemployed because of stigma. But Salemi says that if you’re miserable in your job, deflated and exhausted in a toxic work environment, and have extremely limited time and energy to find a new job, you’re probably not going to make a good impression when interviewing anyway. She also says that whenever she’s interviewed job candidates who have quit without anything else lined up, the conversation never lingered on the topic. The conversation would go a little something like: “Why’d you leave your last job?” “I was completely burned out, getting sick, working 80-hour weeks, and my health was at risk, so I needed to make a clean break to re-energize my career!” And then on to the next question. “Your career, as cliché as it sounds, is a marathon, not a sprint, and sometimes it’s not a straight ladder up to the executive suite,” she says. Just like making a lateral move can open you up to new opportunities, Salemi says that, if you’re in a toxic environment and haven’t gotten a pay increase in three years, taking a pay cut to leap to a competitor is a fair price to pay in the short term when you work for a company that will promote you and ultimately pay you more in the long run. Google your name — so it doesn’t cost you a job. Click here to watch. 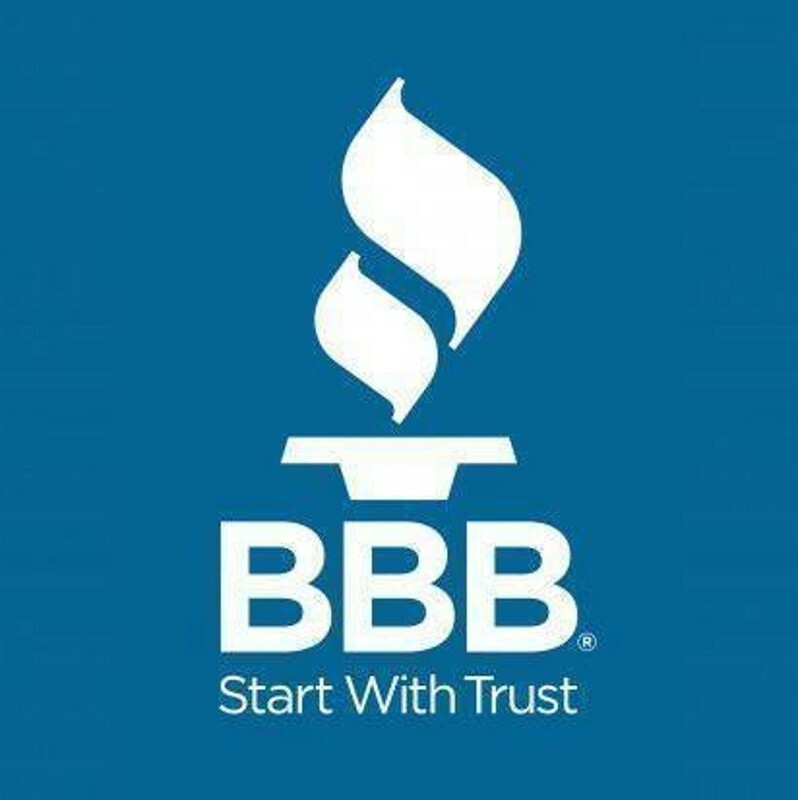 BarryStaff is competing for the prestigious Better Business Bureau Eclipse Integrity Award. After receiving a nomination last year, the company has submitted an entry that speaks to its ethical practices. Among the highlights are specific excerpts from its code of conduct, handwritten letters from supporters, an explanation of safety practices and testimony from employees and clients alike. In fact, co-founder Pam Barry wrote a letter to judges that’s included in the entry. Two employees have been with BarryStaff for almost that entire run. One of them is office manager Kerri Voelkel. “My job has been my safe place and my sanctuary when the rest of the world around me has been crazy,” Voelkel said with a laugh. If BarryStaff is selected as a finalist, company representatives will attend an awards dinner in early May. Winners are announced that evening. 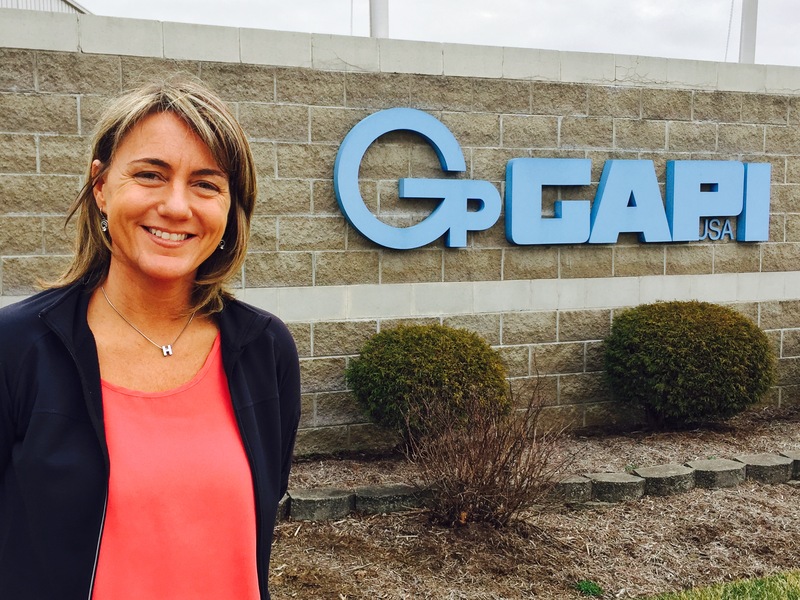 Employee Spotlight: Catherine Harlamert of Gapi USA Inc.
Learning curves are intimidating. No doubt about it. “I’ll have someone call up and need a three-eighths inch rod that specs to an ASTM D-1710,” says Catherine Harlamert of Gapi USA Inc. in Clayton. “I basically moved from jacket sales to high-molecular plastic and it’s a totally different world,” she said. Indeed it is, but Harlamert caught on. Now her responsibilities are increasing and she may start traveling with a sales rep to meet distributors face-to-face. A trip to Italy may be in the works. BarryStaff placed Harlamert at Gapi after she approached the company looking for a change. She knew she could do the job … if she kept the faith. “It’s really been one of the smoothest transitions I could have asked for,” said the former salesperson of school jewelry and athletic wear. Gapi is a manufacturer of custom molded polyurethane products. The company has a presence in many countries around the world. In spite of its global status, what’s impressed Harlamert the most has been the family atmosphere in Clayton. When new decor was needed for the walls, management took employees to Hobby Lobby to pick out pictures for decorating. Then they were treated to dinner. “It’s nice to see a company include the staff in these types of changes, it really shows how much the management respects the employees and wants to make sure they are happy and involved at work on all levels” she said. The road ahead is bright for Harlamert. And she credits BarryStaff with giving her a nudge in a new direction. “BarryStaff has been awesome,” she said. “If I have any questions, my emails are always answered quickly. “I wouldn’t be here if not for Barrystaff,” she said. Click here to watch a short video featuring Catherine Harlamert. It’s like Christmas in January—that most wonderful time of the year in which CareerBuilder.com releases its annual list of job interview quirks and missteps committed by candidates in the preceding year. Asked interviewer why her aura didn’t like her. CareerBuilder also asked about candidate behavior that would prompt an instant “Don’t call us, we’ll call you” rejection. While many large companies use automated résumé-screener software to cut down the initial pool of job applicants, loading your résumé with meaningless buzzwords is not the smartest way to get noticed. “Nearly everyone is guilty of using buzzwords from time to time, but professionals are evaluated increasingly on their ability to communicate,” says Paul McDonald, senior executive director for professional-placement firm Robert Half. Some of the major problems with using buzzwords, according to Mary Lorenz, a corporate-communications manager at CareerBuilder, are that they have become so overused that they’ve lost all meaning, and they don’t differentiate the job seeker from other candidates because they’re so generic. Other, less jargony words and terms should be avoided when they serve little purpose to the hiring manager. All these words do is waste their time and, as a result, you lose out on the few precious seconds a recruiter spends scanning your résumé. Instead, Lorenz says job seekers should speak in terms of accomplishments and show rather than tell. “Avoiding overused terms can help job seekers convey their message and stand out from the crowd,” McDonald says. According to LinkedIn, “leadership” was the top buzzword on its user’s profiles. And if the word doesn’t help you stand out on your LinkedIn profile, you can bet it won’t make your résumé more eye-catching, either. Rather than saying you have excellent leadership skills, you’d do better to highlight specific examples of when you demonstrated these skills and what kind of results you saw. Tina Nicolai, who has read more than 40,000 résumés since founding her company Résumé Writers’ Ink, previously told Business Insider that skills like being an “exceptional communicator” are “baseline expectations in today’s market.” Stating that you are really great at communication isn’t, in fact, saying very much. When CareerBuilder surveyed more than 2,200 hiring managers, it found “best of breed” to be the most irritating term to be seen on a résumé. The phrase offers little meaning and doesn’t help differentiate candidates. “Employers want to know what makes the job seekers unique, and how they will add value to the specific organization for which they’re applying,” Lorenz says. The same rule applies to email. “Instead of simply saying that you’re results-driven, write about what you did to actually drive results — and what those results were,” Lorenz suggests. McDonald says using terms like “highly qualified” or “extensive experience” won’t make you seem better suited for the job — in fact, it could have the opposite effect. Instead, he suggests you focus on the skills, accomplishments, and credentials you bring to the role. Superfluous words like “responsible for,” “oversight of,” and “duties included” unnecessarily complicate and hide your experience, says Alyssa Gelbard, founder and president of Résumé Strategists. “Be direct, concise, and use active verbs to describe your accomplishments,” she suggests. “Of course you would never say you’re ‘lazy’ either, but calling yourself ambitious doesn’t make any sense on a résumé,” Friedman says. “Who doesn’t want to be a team player? If you’re not a team player, you’re probably not going to get the job,” McDonald says. Yes, you and everyone else. It’s assumed that you have a basic proficiency in Microsoft Office, Gelbard says. Unless you have expert proficiency, there’s no need to include it on your résumé. It’s true that a company is less likely to consider you if you haven’t worked hard or don’t come across as someone who will put in what it takes to get the job done, but that doesn’t mean writing “hard worker” will convince hiring managers of your efforts. “Give concrete examples of how you’ve gone the extra mile, rather than using a non-memorable cliché,” McDonald suggests. Speaking of the word “hard,” using it to describe your work tasks can also have a negative effect. ZipRecruiter hosts a database of more than 3,000,000 résumés, which small businesses, individual employers, and recruiters looking for candidates can rate on a scale of one to five stars (one being the lowest, five the highest). After ZipRecruiter analyzed these résumés and their ratings, it found a correlation between certain keywords and low ratings. The word “hard” was found to a strong correlation with one-star reviews, with up to a 79% greater likelihood of receiving the lowest rating. It’s likely the word gives employers the impression that you’re put off by hard work. Being punctual is great, but it’s also pretty basic to holding down a job. Don’t waste the space on your résumé. Read the full article from Business Insider by clicking here. When unemployment numbers were released in early December, WDTN-TV contacted us for an interview.